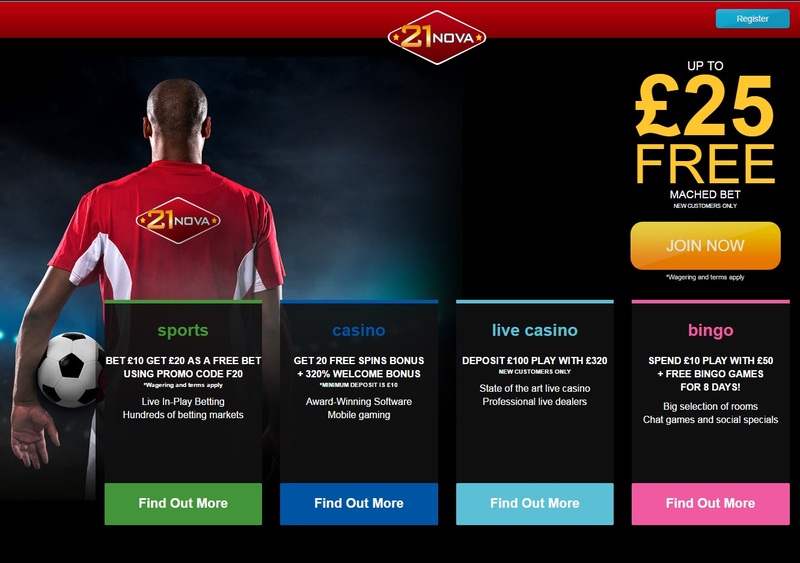 21Nova Casino has just launched a new online sports betting service allowing members of the casino to bet on a huge range of sports. The new sportsbook covers sports such as football, tennis, rugby league and union, cycling, boxing, motor sports and many more. They cover leagues and events from around the world with a large range of betting markets to ensure that fans can place the bets that they want to. As well as offering pre-match betting, the new site also features live event updates during matches which cover major developments such as goals, substitutions and red or yellow cards. At the same time there are in play odds available so that punters can enjoy a comprehensive live betting experience. Visitors to the site will also be able to find background information to sports events such as any previous meetings between teams, recent results, player information and so on. The wealth of information on offer makes it very easy to place well informed bets. There is also a section dedicated to the latest football news which includes player updates, match previews, match analyses and more. New members of the sportsbook can bet £10 and get £20 as a free bet. There are many other promotions on offer including special offers on accumulator bets, insurance against boring draws, the option to cash in early and more. Thanks to these it is often possible to make some money even off a losing bet. The new sportsbook comes soon after 21Nova Casino launched a live dealer casino and a blog. Thanks to these developments it is fast becoming a comprehensive one stop gambling destination. You can visit the new sportsbook at http://sports.21novacasino.com.